Picture this scenario: You are at the hottest conference or event of the year. While most of your readers aren’t able to attend themselves, they have all backed you as their representative of all things cool. You are there on their behalf, ready to gush over every little detail. All you want to do is blog as much about this event as you possibly can, but you aren’t looking forward to hauling your little notebook everywhere you go to transcribe notes. Luckily, there is a much more effective and techno-friendly version of this process. It is called live blogging, and it is a must for any blogger who is attending a conference, meeting, lecture or other event. Just to keep those reading up to date on what is going on right now. Live blogging is by far the best-working technique to get known in your niche and build better relationships with industry leaders! Make it easier to keep up with these four tools for live blogging on WordPress. This plugin creates a stripped-down, simpler version of the usual WP post screen. 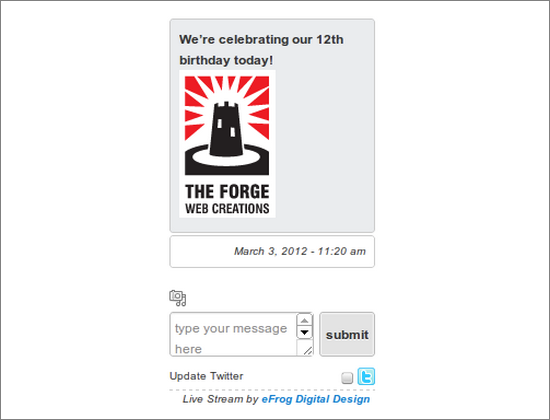 From there you can create micro-blogs that let you update quickly and continuously throughout the event. It also auto-updates all reader’s screens so they get up to date information at all times. This all integrates flawlessly into your blog for later viewing. Here, we have an even more basic plugin. It works by creating a single dialogue box where you update. You type in your micro-post, publish and that’s it. It will keep the updates rolling as they auto-refresh. It is very easy to use and install, and just gives you the most basic features. 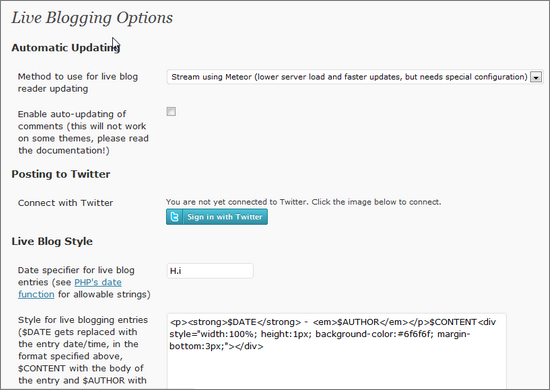 Sync your WordPress and Twitter for micro-blogging on both sites. This is a very good plugin, as it allows you to have social media integration along with your published content. Each post appears as its own line with a time stamp, for easier following by readers. This widget follows the same format as Twitter to make it look like the social media site. But everything is central to your blog, so all content remains there and only there. It provides URL shortening, archive and clear features, live updates, email streaming and more. Do you know of any good tools for live blogging on WordPress? Let us know in the comments. Michelle is the blogger and editor behind Viral Mom, the free guide for mom building business from home. Big thanks to WordPress for being the #1 most used and most popular content management system on the web today. Why? Because of two reasons, 1) it’s built in PHP which is by far the most extensible and customizable of all coding languages and 2) it has created a web environment that is recognized by more programmers and designers than any other environment on the web today. This would be any UI or functionality you need added to your theme that doesn’t justify the development of a stand-alone WordPress plugin. In this scenario you would package up the files of your theme and send them on to a contractor with specific instructions for what new functionality you need added. Be as specific as you can be with descriptions and screenshots if necessary. Connecting to popular social sites via APIs and creating unique functionality on your site can be very very difficult. It’s also one of the biggest opportunities available for creating a better user experience and expanding your online business. The right outsourced contractors will be perfect for helping these connections happen for you. Think Facebook Connect for a minute and you’ll get what I’m referring to here. There is nearly a WordPress plugin for everything you can think of. But don’t let that stop you here. Here’s why, because nearly 90% of all plugins either a) don’t work entirely as promised or b) haven’t been updated to be compatible with the most recent version of WordPress. Add this to the fact that you’re always going to want your own “bells and whistles” it’s always a good idea to outsource your WP plugin development. And finally, mobile. Mobile is tricky to say it kindly. You’ve gotta optimize your website for mobile phones, tablets, different types and models of phones and tablets etc. There’s a ton of work to be done here, and it makes perfect sense to leverage an outsource contractor. Also, don’t forget mobile app development which will require a contractor with a whole different skill-set but will be extremely valuable to you nonetheless. Unless you’re a coder yourself, you need the help of a programmer to help you create new functionality for your site or blog. Outsourcing is a great idea for many reasons but primarily it has to do with cost. It’s cheaper than hiring someone locally. And because of how universal WordPress has become, you have more options than ever in hand-picking a developer to help you get the job done. While you may or may not be pulling your hair out about it right now, it’s likely that one day you actually may be a bit stressed out about Google+. Why? Because according to popular internet marketing podcast, Coffee Talk’s, James Martell, it’s quickly going from 625 active users in 2011 to over 400 million users by the end of 2012. That’s no light venture. During a discussion on Coffee Talk, James Martell decided to interview Don Campbell. Campbell is a social media expert, instructor at The School of Internet Marketing and president of Expand2web, which is a leading organization providing free tools and training for business owners. The discussion on Coffee Talk was about Google+, which is one of the newest social media sites out, however also one of the more complicated ones to date. While that may be the case, people are starting to adapt well to social media, and Google+ is turning out to be no different. Campbell gave some great insight that can help business owners and entrepreneurs figure out the answers to some basic questions that they’re asking, primarily to help them decide whether Google+ is right for them and their business. 1. Google+ is a Social Networking Site. A lot of people don’t know this about Google+, thinking that it’s a new search engine, or browser comparable to Chrome. Actually, Google+ has a lot of cool features that help you group and deal with the people in your professional and personal life. 2. Google+ Is Necessary. And that’s the word. According to the show, 625k users is quickly turning into 400 million by the end of 2012. Those statistics alone let a potential user know what type of opportunities lie ahead of them when they decide to go with Google+. 3. Google+ Stands Out. Which is awesome considering that, according to Campbell, Google has been trying to develop a successful social media or social networking site for some years. Now that Google+ is on its way to rest with the big leagues, it’s only fair to say that it absolutely stands out from its predecessors. Campbell also says that Google gives people new ways to search for things, adding to its identity. 4. Google+ Adds to the Marketing Mindset, according to Campbell. James Martell describes the new age technology era, during which a lot of business owners are moving over to technology with the rest of society, and he almost feels a pang of pity for those who decide not to do so. Google+ is completely new age technology oriented, and therefore a perfect fit for the new marketing mindset, which allows business owners to create and hold onto healthier relationships with customers and clients. 5. With Google+, You Can Measure Your Marketing And Advertising Campaigns. This is one of the better advantages described by Campbell and Martel, because it shows that with Google+ you can do more than you can with a newspaper. That is, you can measure and monitor what people are thinking and saying about your business, much like with Twitter and Facebook. 6. Google+ Stays Around. One of the best benefits pointed out by Martell himself was that of the newspaper versus Internet lifespan. If you post an ad for your business in the newspaper, you’re likely to not see it the next week at all. However, if you were to post something on Google+, that information gains the lifespan of the Internet, which as of right now is looking pretty eternal. While it may grow old and end up on the backburner, the information will never die. 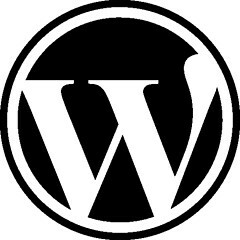 Another way you can preserve the information is through WordPress integration. If you’ve only heard of WordPress as a blogging site, think again. Because of Genesis WordPress Themes, business owners are now able to create professional looking business websites via WordPress, and use the plug-ins it offers for platforms like Google+, Twitter and Facebook. If you haven’t checked into it, it could easily be the most beneficial decision you’ve made for your social media marketing campaign for your business. Mike Kelley is an ex marine that’s been working at sea since the early 1970s. He is literally the captain of a ship, and still works at sea. During his free time, he is a WordPress fanatic that runs www.shopwpthemes.com. If you’d like more information on him, all you have to do is check out his blog, or go searching in the water. Thanks to WordPress, you don’t have to look too far for ways to take your business to more people. A website or blog is a great way to connect to your customers and potential clients. WordPress gives you any number of options to do just this. What’s more, the site is constantly upgrading on what it has to offer both in terms of themes and in terms of security. Customizing WordPress sites is important – the defaults are not setup the best for you. It helps you create a space for your own site, allowing you to stand out in a crowd. The amount of effort taken to make a website your own, shows your commitment to creating something of quality. This will bode well for your business, product or service too. Attention to detail also creates a sense of involvement for the reader of the website. Here’s how you customize your WordPress site. The easiest way to customize your WordPress theme is to change the style sheet. Since each theme comes with a CSS file, this is simple to do. You can change the entire theme if you so choose. This includes, headers, images, colors, typography, calendar, lists and structure. Work on each aspect individually and ensure that they all go together in the end. Use the CSS file and the individual aspect file to help you do this. For instance, you’ll find picture, header file, search box and navigation in the header div. Seeing how the whole purpose of the customization process is to create a connect with the audience, it makes sense to take more time with the About Page. Bring in a picture, tell your story but don’t go overboard. The idea is to show your true side so that the customer can feel confident in your products. We recommend Thematic, the open source theme framework that gives you a wide range of grid layouts, plugin styles and areas to fill with widgets. Being open source, you have a lot of help too. Or Sandbox that works with CSS and is great for beginners. A simple way to differentiate yourself from the rest is through the author comments style. Try a highlight author comments plugin that does the work for you. Your comments are shown in a different style and for this, all you need to do is give WordPress a sample of the CSS style you’ve used in other posts. No one wants to see your website and see an outline of a torso where a face needs to be. Gravatars, or globally recognized avatars are great when you need to create an identity of your own. You can use it not just on your site, but also in forums, communities and other online spaces you might want to inhabit. This 80 X 80 pixel image needs to be created by the user and you can decide the ratings of the choices given to you and whether or not the avatar displayed in the first place. These are just a few of the ways you can customize your WordPress website. As you gain more experience and learn the ways of the platform, you can do more to claim this space as your own. This is a guest post by Ethan Millers of bw9.com, a site that offers savings and current information on comcast cable and internet,click here to know more, as well as other Comcast.com services.